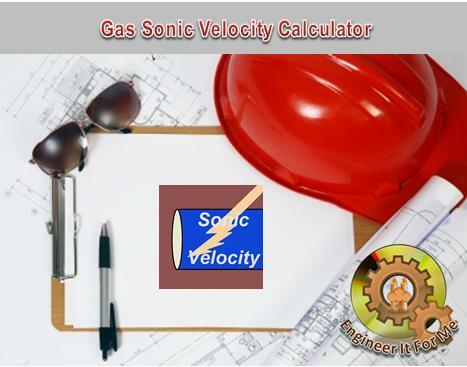 This software calculates the sonic velocity of a specified gas flowing in a pipe. Sonic velocity is also known as speed of sound. This is mainly the sound velocity of the internal substance in a pipe. This calculator mainly targets process and chemical engineers whom may find it useful for quick check calculations. The calculator needs only the Temperature input to calculate the sonic velocity.